Scores are listed below in (mostly) alphabetical order. ​Search the page for a title you are interested in, if you can't locate it right away. Pieces suitable for ​Christmas are titled in red. Items available for free download are noted in blue. Preview and instant download available at ScoreExchange. 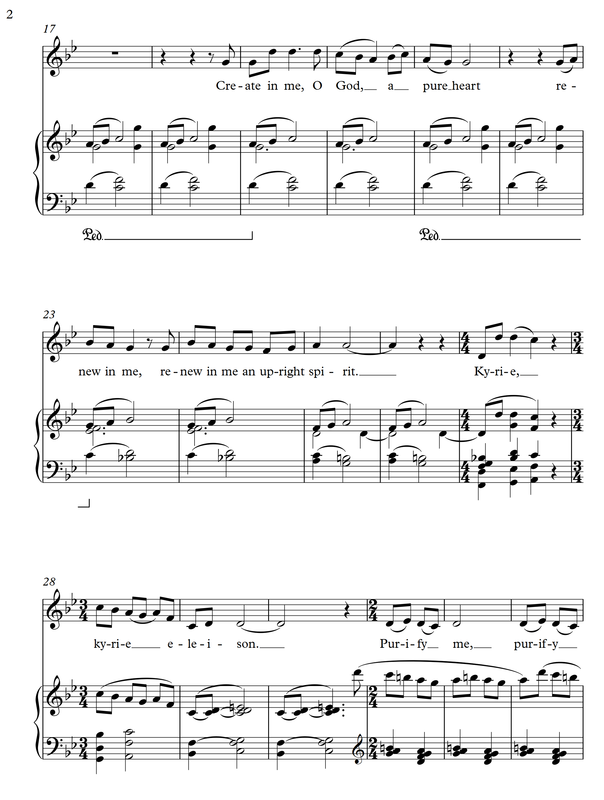 NB, the recording tempo and the tempo marked are slower than I perform this. Permission is granted to reprint within purchasing organization. Available at wlp.jspaluch.com for immediate download, listening, and ordering print copies. Available at giamusic.com for preview, listening, and ordering print copies. N.B. The recording is done at the marked tempo, which is half the intended tempo. Coming soon from GIA Publishing. Preview and immediate download available at ScoreExchange. Preview and immediate download available at ScoreExchange . Listen, preview and order from GIA Publications . Preview and order from World Library Publications. $30 for 20 print copies, use "Add to cart" option. Will be available at GIA Publications. Available in the collection "Hymn arrangements for festive occasions, vol 1"
Preview, listen and order (immediate download available) from Oregon Catholic Press . Available for preview and free download at ScoreExchange.com . Listen to "Sanctus" using the media player below. 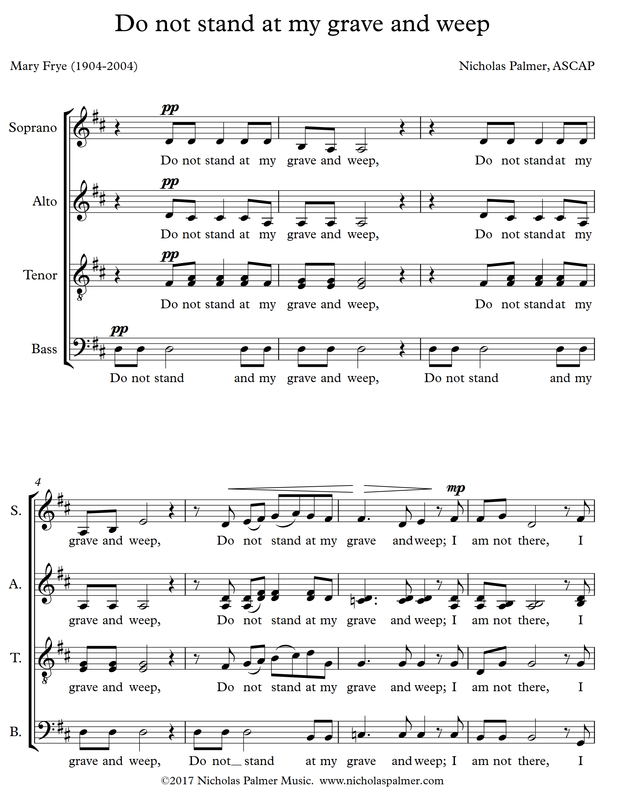 The famous poem of Mary Frye (2004-2014) is given a lush, dramatic, and emotional setting, suitable for funerals, memorials services, and memorial anniversaries (e.g., military, personal, civic). This is a moderately difficult piece because of the divisi, but the harmonic and rhythmic language is fairly easy to master and immediately accessible to audiences and congregations. 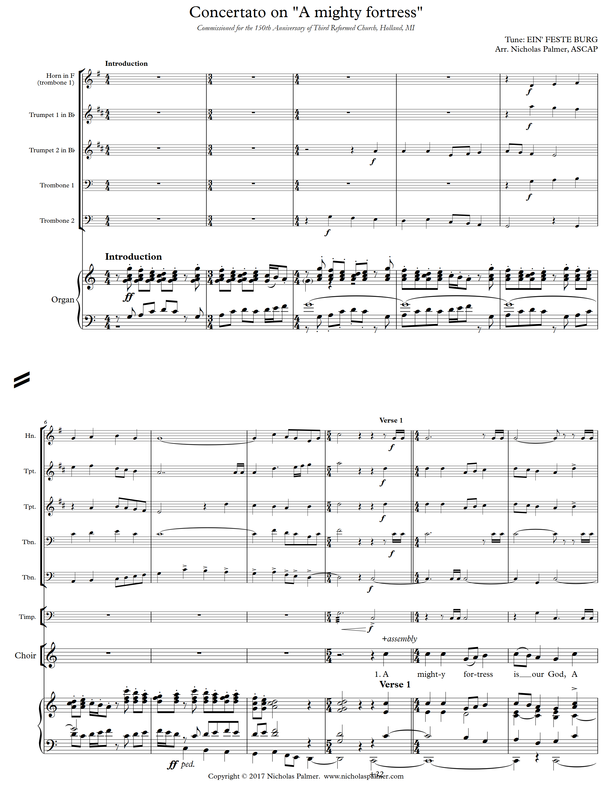 Order 20 or more print copies ($1.50/copy) - use "Add to cart"
Here is essentially the same piece for SATB choir, which can be sung with four parts alone, or with some optional divisi. Mary Louise Bringle wrote a lovely hymn text to the Holy Spirit which is here set for mixed voices and is especially suitable for Pentecost or confirmation. The images in the poem are rich and inviting, with a returning phrase "Laus tibi, Sancte Spiritus" ("We praise you, Holy Spirit") that builds in intensity. 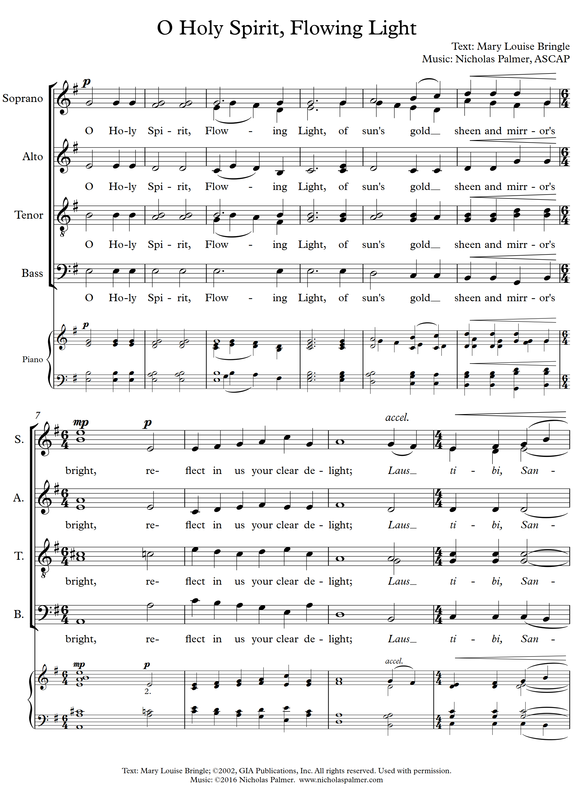 A lush choral hymn for Memorial Day, Remembrance Day, funerals, and memorial services, especially for those who have died in military service, or died young;. 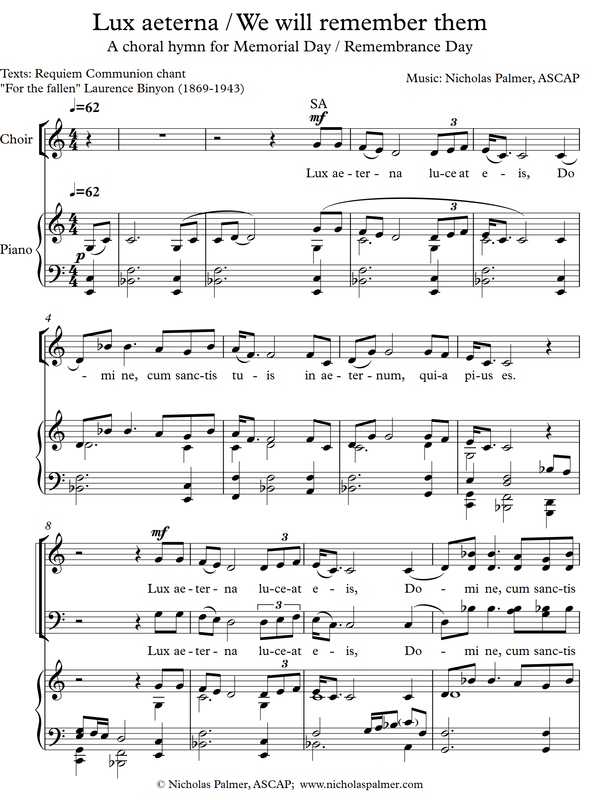 SATB choir, with an optional descant and divisi.